forma.8! Ghost Blade HD! Harvest Moon 64! It's that time, once again, for the Nintendo Download Update details for North America. This week offers up a few interesting choices, so let's get to it. Missed the European Nintendo Download Update? Turn that frown upside down, the details are still waiting for you right here. Go! Go! Kokopolo 3D - This fine-looking title is your only option on the 3DS this week. 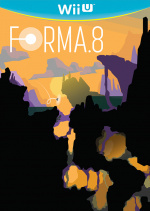 forma.8 - This cool-looking Metroidvania title has been in development for quite some time and is well worth a look. 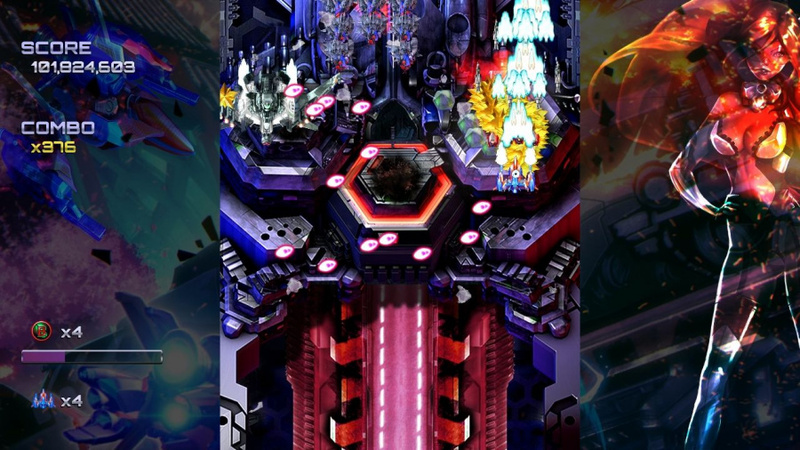 Ghost Blade HD - Old school vertically scrolling action which calls to mind the likes of Raiden and Aleste. We'll have a review live shorty. Maze Break - Breaking mazes, presumably. Placards - Puzzle action on your Wii U, what more could you ask for? 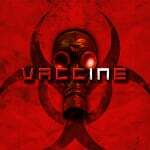 Vaccine - Sounds nasty. You should get that seen to. Harvest Moon 64 - The classic farming series is coming to the Wii U Virtual Console in the form of the N64 version. Moo! To celebrate the upcoming launch of Shovel Knight: Treasure Trove and Shovel Knight: Specter of Torment Nintendo is offering a discount on the Wii U and 3DS originals this week. You can also get 60 percent off Phoenix Wright! Purchase Ace Attorney games until 8:59 a.m. PT on March 1st. That's the line-up for this week's Nintendo Download Update in North America. Let us know what you plan to download in the poll and comments below. Ghost Blade HD I assume is the screenshot we see. Always interested in vertical shooters, hopefully it reviews well. Can't wait till the Switch is included in this next week! Never played any Harvest Moon... may just start today. Harvest Moon 64 for me! If you like Harvest Moon, get HM64. Next week I'll pick up the Switch! Is there a Nintendo newsletter that provides this info on a weekly basis and, if so, where can I sign up for it? Getting forma.8, and Vaccine if it reviews well. Because a good game is a good game regardless of the system, and I won't forego one just because a new console launches next week. Go! Go! Kokopolo 3D - Space Recipe For Disaster for me..
...might just double dip Shovel Knight, for a Wii U copy, before they up the price and add the new stuff..
@russellohh I do generally check this site every Thursday, but would like to get the official Nintendo email if there is one. I just can't find anywhere to sign up for it. I have signed up for newsletters on my Nintendo Account page, but I'm not getting these emails. Shovel Knight is on sale? Looks like it's finally time to invest in that title. I grabbed old stuff this week thanks to MyNintendo deals. ALttP on 3DS and Skyward Sword on WiiU. Nothing else for me this week, in preparation of the NS. All over Harvest Moon 64, nothing else worth considering. Also, if Nintendo were smart over the next couple weeks they'd be having a big Wii U retrospective sale with some huge markdowns. But it's Nintendo so not gonna happen. 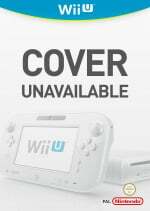 More nothing for the N3DS virtual console. How many weeks does that make now? Don't want that game and don't want the Switch. If I want a Switch....why should I buy any VC release on the Wii U for now? I mean, we have no concrete words on how the transfer system will work. I may understand that the VC is not ready for launch, but we should know at the very least how it should works, because at this point, it's really throwing our money out the window if we plan to migrate to the Switch. Also, shouldnt the 3DS have a lot of life left? Because the past few weeks have been soooo barren, it's like it's about to die. 1 release per week, even if it's a good one, is definitely not enough for an healthy online marketplace. What is Shovel Knight Treasure Trove? Is it just the original game and two additional DLC campaigns (Plague & Specter)? Please let the Phoenix Wright sale extend to Professor Layton vs Phoneix Wright. Be careful if you play Harvest Moon 64. Don't talk with Ellen (Elli's Grandma) at the beginning game (2nd Spring) or .... she will passed away. I wonder if the Harvest Moon 20th Anniversary celebrations will continue on Switch? Unfortunately, you're going to be waiting forever. When Nintendo cut off support for the NES, they started in Japan and then NA and PAL. The fact that there hasn't been a single super famicom release in Japan in three months, and nothing in North America for almost two months, doesn't bode well. It's incredibly frustrating, and that frustration will likely carry over to the Switch. Dang, I'd pick up forma.8 but between classes and DQ8... I don't have time to start a new game before Switch comes, and honestly I probably won't be touching my Wii U for awhile then. Hopefully it comes to Switch? Any word of ghost blade for Europe? WiiU and switch maybe? I HIGHLY recommend the Ace Attorney games. An amazing series. Harvest Moon is a go! I might also get Ghost Blade HD. According to their official website http://ghostbladegame.com there is now 3 difficulty levels as opposed to the Dreamcast version's 2, normal and novice. I'm assuming it's a hard mode because the game's biggest complaint being too easy. Well, next to the frame-skipping issue. I hope both of those are addressed with the HD version. I'm very excited - this is a great week indeed! Can't believe 3DS is taking a backseat to Wii U! Absolutely getting those first three though! Nice! Didn't realize Go, Go! was coming this week! Will probably get that; let's see if they meant no difficulty spikes this time. I'm hoping there's a kokopolo review before I think about picking it up but I know you lot have been swamped and have something like a four month review backlog anyway that's only gonna get worse. Might get Kokopolo, but not right away. I'll wait for some reviews and impressions first. Forma.8, Ghost Blade HD and Vaccine. Backlog be damned. Nothing, waiting for the switch. Still, if that is what they have to offer, I can fault people for thinking, any Nintendo system not named Swtich is on the way out, if has not yet been put out to pasture already. I really hope this works out for them, because as a 3DS and WiiU owner, I still feel like some more support would have been in order, esp. since the Switch itself is not exactly bursting with attractive and new softwarre either. I just got a PS3, so I've been buying games from the PSN store like crazy! I downloaded four of the Tales games last week, then I downloaded four of the Final Fantasy games on Monday! I was going to avoid looking at the shop this week, but now that I know there is an Atlus sale, I can't afford NOT to take advantage of any offers! All these N64 titles and still not the one I need to import from the Wii Menu. Where is Super Smash Bros. 64? Thank you Nintendo gods!! I've been meaning to buy Shovel Knight for a long time, but kept waiting for a sale. Today I finally gave up, thinking I need to buy it before the price rises for Treasure Trove. And lo and behold when I booted up the eShop, it was on sale! Vaccine if the price is right. Why do the games lack descriptions and fail to have a price shown this week? But... story of seasons trio of towns comes out Tuesday, and this wasn't even mentioned?! That's so much better than harvest moon 64! @bezerker99 The fact you waited this long to play Shovel Knight makes me question if you actually enjoy playing great video games. BOWT will be hard pressed to out perform it if you play it right after, so maybe play something bad inbetween. Getting Harvest Moon 64, forma.8, and Ghost Blade HD this week. Ghost Blade is a solid shooter. There was a little slow down on the Dreamcast version (I own it). I wonder if it's on this one, I'd not even been aware of it coming out. I'll get it on Wii U, looking forward to it. Never played Harvest Moon. I'd rather wait for Stardew Valley on Switch, but I want a physical version and not sure if that'll happen until well after the digital version releases. This is the last one before we get Switch games on the weekly download! Nice to see a third-party N64 game, and a good one to boot. Ghost Blade - from reviews looks like it will be a 6 or 7. I'm all about ghost blade HD this week. I collect shmups for all my systems and the WIIU has been sorely lacking. The Dreamcast version was a solid shooter. Ghost Blade isn't out until the 28th. I already own Shovel Knight for PC (DRM-Free, no less)...but the sale is still tempting. I just got into the Harvest Moon series because this came out for VC and I've been so addicted!!!!!!!!!!!! Already got Shovel Knight...Harvest Moon 64 is tempting, but got other Harvest Moon games and already played the 64 version...So nothing for me. I want Ghost Blade HD on the Switch as well. @XCWarrior play something bad? that's why i never got rid of Other M.
and yes, i'm very late to the shovel knight party. This is finally time for me to get Shovel Knight. Even though I have the amiibo for almost a year, I've been holding out for when I have more time, a sale, and/or port on switch (that was later plan). Seeing as I can get it now for $10 vs $25/$35 a week later, my choice become clear. It's incredibly frustrating to see how half baked VC support on the 3ds is. Like they made a huge song and dance about the new 3ds getting SNES titles and they haven't released anything in MONTHS. Meanwhile there are still games on the Wii U that haven't been released on the 3ds. Where the heck is Eartbound Beginnings, Kirby Super Star, Kirby Dreamland 3, etc. This is what makes me hate how Nintendo handles VC. They never get around to releasing the entire library of a system on any given console, keep the pricing the same for about 10+ years, and then expect customers to happily line up to buy it all again on the next system. Vote with your wallet. When VC does come to the Switch I'm only going to be buying games that aren't available on the Wii/U or 3ds.